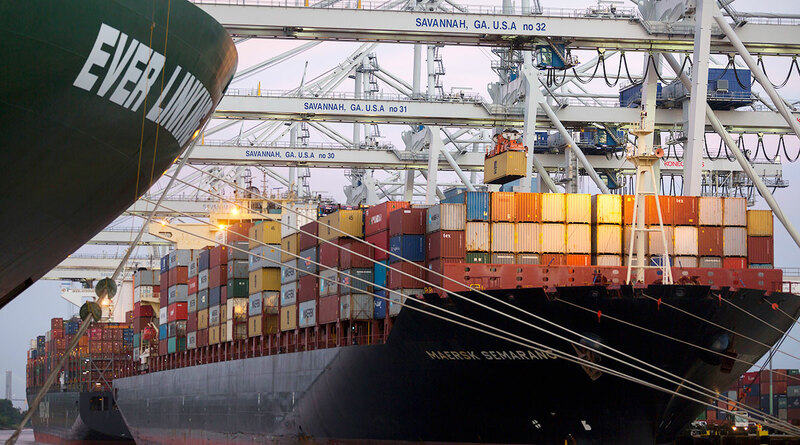 Savannah handled 413,800 TEUs in October, the 24th consecutive month of year-over-year growth. Comparing the 2018 fiscal year-to-date (July-October) with the same period last year, container trade in Savannah increased 8%, for a total of 1.53 million industry-standard 20-foot equivalent units handled. That is 113,000 TEUs more than in 2017. The Port of Savannah’s Ocean Terminal increased trade in breakbulk cargo in October. Growth of 25.8% brought the total to 126,165 tons of commodities ranging from autos and machinery, to rubber, steel and lumber. Overall containerized volumes in October grew by 4,000 TEUs, or 1%, compared with the same month last year and by 13.6% (49,600 TEUs) compared with September 2018. Intermodal rail cargo volumes also continue to grow, with an increase of 8.7% in October, compared with October of 2017. From July to October, the port has handled 172,416 containers by rail, a 24% increase compared with the same period in 2017. Those rail cargo numbers are expected to go higher. “We are currently in the process of doubling Savannah’s rail lift capacity to 1 million lifts per year to expand our market reach,” Lynch said. Lynch was referring to GPA’s Mason Mega Rail project, now about 20% complete. The $127 million project broke ground in March. The Garden City Terminal will have 180,000 feet of rail, 18 working tracks and the capability of building 10,000-foot unit trains on-terminal. GPA estimates the new terminal will take more than 200,000 trucks off the road annually. The project also will alleviate some traffic headaches in Garden City. Some trains will go around Garden City instead of traveling on tracks that bisect the city. The project will allow GPA to bring all rail switching onto the terminal, avoiding the use of nearly two dozen rail crossings — including those on Ga. highways 21 and 25 — for improved traffic flow. The project is set for completion in late 2019.